I have never been a huge fan of night flights mostly because I don’t really sleep on the plane, which ends up with me feeling very tired when we land. This flight was a night flight :/. We arrived in the early morning with most passengers feeling refreshed —except me. Try and sleep on the plane before you arrive at your transit airport. You cannot predict the situation you’ll run into whilst waiting (noise, uncomfortable seating or like in my case a freezing waiting area!) and you might not be able to sleep as comfortable as you would on the plane. After going through immigration, we came to the duty-free shopping area, now the shopaholic in me couldn’t resist an opportunity like this. But then I noticed that the shops that were available didn’t catch my fancy, I wasn’t too happy at the missed opportunity but I guess my wallet was. I did however manage to buy something which I later find out wasn’t worth the money and trouble (card and currency issues) I went through. It is never a good idea to shop when you are tired, sleepy, and in some cases hungry. You almost always regret the decision (although I like to tell myself that I don’t regret it 🙂. If you love shopping it will be best to eat and rest first, then do damage to your cards later. After our wander round the shopping area, I was so tired at this point that my eyes were red and heavy, so we went on to find a place to sleep. Luckily we found this area with chaise lounge chairs. This was the next best thing to a bed at an airport. It looked heavenly to me —I kid you not. Things were going good, until I felt a cold breeze. Looking up I saw that there were some huge fans above us and the air it was letting out was freezingly cold. It was unbearable cos I wasn’t dressed for that weather, mind you it was the middle of winter so you can imagine how cold it was and I was coming from a sunny country so you have a rough idea of how I was dressed. Make sure you have a winter jacket or a very thick Jumper. If your carry on won’t fit it, you can get a light blanket like the one’s they provide on planes. Trust me when you find yourself in the situation I was in, you’ll thank me. After the cold debacle, I gave up on sleeping and went back to the shopping area to find a store that stocked blankets or jumpers (A girl can hope right? ),that was how bad it got. Unfortunately luck wasn’t on my side 🙁 So i spent the next few hours finding ways to get as much sleep as I could considering the situation. I gave up in the end, after getting a bit of sleep. We were hungry, so we headed out to look for food. Not all airports have gourmet restaurants so don’t expect a warm yummy food waiting for you. Seeing as it was breakfast and we needed something warm our option ended up being a hot drink and some pastries. I wasn’t that satisfied with the choice. This one is a bit straightforward. Make sure you have enough cash on you and in the right currency as well. If you can’t get your hands on the local currency, having dollars on hand is a huge help. Trust Me. After our “Breakfast” we still had about four hours before our flight with nothing much to do. This is the point of entertaining yourself whilst waiting. You can either read books or whatever interests you. This particular airport was a bit accommodating than most. They had playstation docks and a few arcade games, a section with computers that you can pay to use internet (actually they had free wifi for a period of time as well and you can buy minutes when it expires). The things I mentioned above are all stuff you can try doing. Other thing you could do is use your computer (if possible find a plug before others beat you to it), or maybe trying out your social skills and start a conversation with others in the waiting room. You might actually have a conversation you’ll not forget in a long time. This one’s a bit straight forward too. Don’t forget to pack toiletries and emergency hygiene products and a change of cloth and underwear too. 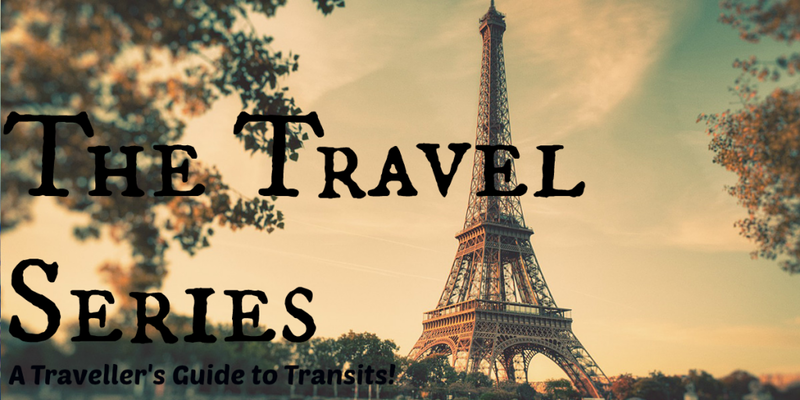 Read about my travels here and you can check out my Youtube Channel for Travel vlogs!